If you are considering purchasing a Massachusetts home one of the things you want to be sure of is the accuracy of your credit report. The economic down turn of the last five years has vastly changed the mortgage landscape all across the country. One of the tools that lenders use to evaluate the borrower to repay a loan is what’s known as their FICO score. The FICO score was developed by the Fair Issac Corporation. The company was founded in 1956 and their scoring programs are often used to assist lenders in managing credit accounts, detecting credit fraud and automating lending decisions. The FICO score is a standardized approach that helps lenders deliver decisions on loans in an efficient manner. FICO scores can range from 300 to 850 with 850 being the maximum possible score. According to the FICO scoring system there are five factors that determine a borrowers score. Using these guidelines can help you improve a credit score! 10% — A recent search for credit or amount of credit obtained recently– If you have multiple credit inquiries as a consumer seeking to open new credit, such as credit cards, retail store accounts, or personal loans, it can hurt an your score. Applying for lots of new credit in a short period of time is also viewed as risky and can cause a drop in an individual’s score. What should be noted however is that if you are shopping for a mortgage or auto loan over a short period of time you should not experience a decrease in your scores as a result of these types of inquiries. So if you are buying a home and apply to multiple lenders and they all do their credit checks you are not supposed to be penalized. There are actually three companies that report credit scores to lenders. They are Equifax, Experion and Transunion. The scoring of these agencies can often vary quite a bit. Each of the bureaus collects different information on the borrowers which can change the final score. Given how the credit scores can differ from the various agencies if you are falling on the edge of one of the credit ranges it may be prudent to apply to more than one lender. For example if you had a score of 675 at one agency it is quite possible you could be 700 somewhere else which could give you a better rate! It should be noted that the credit scoring model was slightly altered in 2009 and could effect your score either up or down by 20 points. In the new model credit problems and issues will be ranked according to number and magnitude more specifically than before. The new FICO scoring system also focuses less on how many accounts a borrower has and more on the amount of balances carried. So how does one go about improving their credit score to get the best rates that lenders offer? The answers are actually pretty simple! A major portion of the FICO credit score is set by the ratio of credit used to credit limit. What was happening was they would increase the score by simply increasing your credit limit. Some of the credit-repair agencies, for a fee, would report to the credit bureaus that they have opened an account with a high credit limit. The customer could not actually use this account but it would improve the customer’s FICO credit score due to lowering the balance-to-credit-limit ratio. This is no longer allowed! With this knowledge is hand you should be well armed to position yourself for the best mortgage rate possible and increasing your credit score! About the author: The above Real Estate information on How to improve a credit score was provided by Bill Gassett, a Nationally recognized leader in his field. Bill can be reached via email at billgassett@remaxexec.com or by phone at 508-435-5356. Bill has helped people move in and out ofmany Metrowest towns for the last 26+ Years. Excellent post Bill. Extremly informative. I have one question though. How much are lenders taking in consideration the FICO 08 model for lending in MA? Judy – I don’t think it really is a question of Massachusetts lenders per say or just lenders in general on what they look for as far as the credit score. I know the models were changed a bit in 2009 if that is what you are implying? 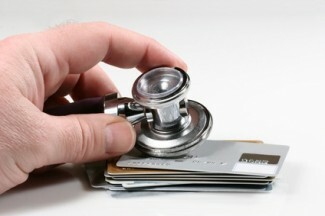 A great post on credit reports, credit scores and how you can “simply” raise your credit scores. Beth thanks for the compliments on my article about increasing a FICO score to get a better mortgage rate! This is a really good article on credit. The three credit reporting agencies are Equifax, Experion and Transunion. The scoring of these agencies can often vary quite a bit. Each of the bureaus collects different information on the borrower. This is great information and a very good resource, especially for first-time homebuyers who want to know how they can boost their credit score. Thanks Peggy I appreciate the compliments on how to increase a credit score. Thanks for the great info. I will definitely pass this along! Great Blog, very informative. The information you gathered is helpful both to first time homebuyers/ homebuyers as well as anyone who is looking to refinance their current home. Over the last years many struggled with their finances. Now that the economy appears to be taking a turn for the bettter, clients are concerned about improving their credit scores and thus their lending power. Thank you Bill, for this great information. Thanks Claudia. Increasing a credit score is something that every borrower should concentrate on. Having a higher credit score can save you quite a bit of money in better interest rates over the years you have a loan! Bill, Thanks for the reminder. I was looking over my credit report the other day and thinking that I should drop some of my credit cards I never use, but your post convinced me to keep the accounts open (and just shred the cards). Also, I put a temporary lock on my Equifax credit report, so no one can pull unauthorized inquiries. AT&T just did that and lowered my credit score, took weeks to get them to remove the incorrect inquiry from Equifax. Another great post about easy ways to improve your credit score! Thanks for sharing. This is the second post on the topic that I’ve bookmarked and will be forwarding to my real estate clients! Thanks Pete I appreciate your compliments on how to improve a credit score. Nice article! Great info on how to increase a credit score, I will pass along! Thanks Bob I appreciate your compliments. Having a good credit score is so important yet may do not think about it until they are in a position to really need a great one! Great job on the post Bill! This is helpful information to someone wanting to know the how to get that credit score up. I will deff be sending this one along! Thanks Paul. As a Realtor it makes a lot of sense to teach people how to improve a credit score. As you know it can make a huge difference when purchasing a home or getting any kind of loan for that matter! Bill this has to be one of the most comprehensive articles I have seen about how to improve a credit score. You have done an outstanding job with this post. I am sure there are many people that could use this advice given how poorly the economy has remained over the last few years! Hope you don’t mind answering a question. We had over an 800 credit score. I got hurt and went on disability. My wife also had to take an early retirement. We paid off all our bill except the house which we could not sell. There was a big drop in the homes value. We put down $45,000 when we bought in 2005. Our balance on the mortgage was $145,000. Bank of America refused to help us and we could no longer afford to make payments. We were able to do a short sale but missed payments to BOA. The house sold for $89,000. The only bad thing on our credit was the short sale. Will we ever be able to buy again? Rent is twice what our mortgage payment was. R Smelser – I am sorry to hear about your financial difficulties. After completing a short sale if you work on building your credit scores back up again you should be able to buy again in two to three years. Following the advice in the article will allow you to improve your credit score. Here is an article on improving your finances after a short sale. Hi Lynne – You will want to have a few different kinds of debt that you always pay on time. Building back your credit scores can be done by being consistent with your payments. Yes, good article, very informative. I just want to add that I believe that if you’re going to improve your credit score drastically you need professional help. For me it was certainly worth it in the end. I went through Lexington Law and was very happy with my results. I recently used myFico dot com to get my scores and reports, signed up for their quarterly reporting as well. After looking at my reports, I decided to try for a couple of new lines of credit now, so they would have time to age before I try for my mortgage in 18-24 months. I was denied, and got my score from the creditor, it was almost 200 pts different than the one from myFICO. How is it possible to even know an accurate score? Seems like FICO is a scam to me…. if I can’t see the same score the lender sees, what’s the use? If all lenders don’t get the same score, how is that supposed to be fair to consumers? As far as I am concerned, FICO needs to be standardized. Period. Good info Bill. Two common mistakes i see people making when trying to improve or increase their credit score is they pay off their collections. The damage has already been done to their credit score, paying it off will improve their credit score. Even worse is when they go into a payment schedule on a debt that is in collections. The collection agency keeps reporting the collection as current and lowers their score even more! 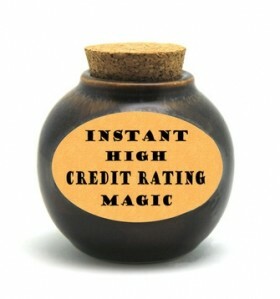 Also, paying off an installment loan, even if it has been paid on time, rarely ever improves a credit score. Save your money and pay down the balances on a revolving line of credit like a credit card.